How can I reduce Caravan Sway is a great question. Learn why we recommend tow ball weights should be 5% to 7% on a tandem trailer and 7% to 10% on a single axle trailer. The key to greatly reduce caravan sway is knowing the weight on your tow ball. Once you have adjusted the weight in your caravan or boat trailer, then it is a simple matter to re-weigh your trailer coupling. How do I test tow ball weight? To start testing your caravan coupling weight, you need to purchase a Tow Ball Scale. These can be purchased by clicking this link. Without a set, if tow ball scales, you have little information to balance your rig. Another popular device to reduce caravan sway is a weight distribution hitch, maybe a thing of the past. Watch the video and you will get an understanding of the dynamic forces called Yawl in a caravan. The University of Bath UK has produced this video on caravan Yawl. Yawl is a boat term used to describe the effect on weight and steerage. Yawl is used in describing the relationship between the location of weight and sway. Clearly, weight distribution in the test model above dramatically affects the tow ability of the tow vehicle. Your caravan has been perfectly balanced during manufacture and has been supplied to you with perfect driving stability. So the question is, why is my caravan now so unstable above 80 kilometres per hours? 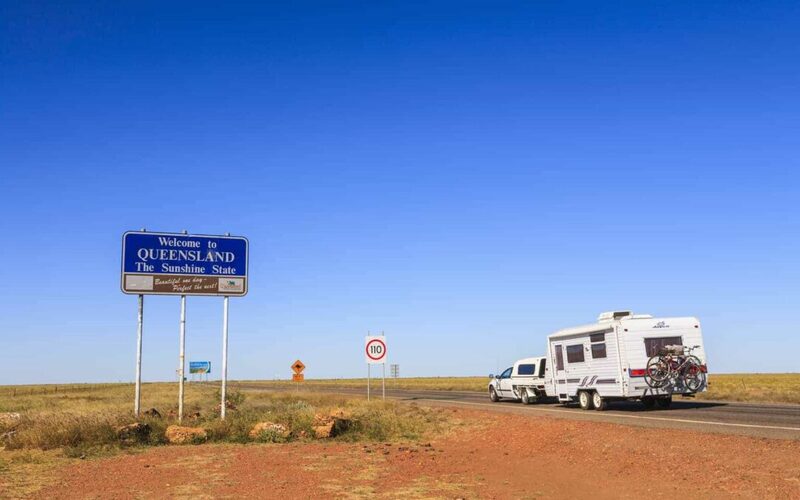 Excess caravan sway can have unintended consequences for your rig. After you watch this next video, I will let you in on some towing secrets. You have now witnessed how weight can affect your rig. it is essential you have homes for your food, beer, camping equipment, generator, etc. Some folks even have a weighbridge certificate. You may need to move it but do not yet know where it should go. Here is the calculation you have been waiting for. You know your ATM from your caravan nameplate. ATM = Chassis Weight + Payload (food,etc) + Tow Ball Weight. Your tow bar will have a label for max down pressure or S value or V value. Possibly not necessary but you should know what it is. You car log book with have this value. Weight is too low or too high? If your weight is too low, move weight forward of your axles in your caravan. If your weight is too high, move weight back of your axles in your caravan. Yes, I know the industry loves its weight distribution bars however I am not a fan. I fail to see any reason for transferring weight from and overloaded ‘A-frame’ onto the car rear suspension. I have many big question marks here. The very best solution is weight redistribution over your caravan axles. As a result, this may require an axle upgrade from 10″ brakes to 12″ brakes. Finally, tandem 50mm axles give you 4.5t capacity or 3.5t capacity with room for emergencies in rough terrain. Here is another very good article on caravan away. I recently purchased a new 17’6″ Billabong single axle caravan and towed it to Adelaide behind my 2002 turbo-diesel Prado. With both water tanks full (180 litres) the van weighed 2350 kgs. Weight was carefully distributed in the van and my Hayman Reese WDH was correctly set up. Tyre pressures were van – 50psi; Prado front- 38 psi; Prado rear- 42psi. I was alarmed that over a speed of 90kph the van sometime began to sway particularly going downhill. I was able to reduce the tendency to sway, but not eliminate it, by emptying the water tanks and reducing my tyre pressures to van- 46psi; Prado front-34psi; Prado rear-38psi. I had fitted new coil springs and shock absorbers to the Prado prior to my trip. In the past I have owned previous vans (single axle and lighter) but have not experienced sway to this extent. My Billabong is called a semi-off road model and only has leaf springs; as it is somewhat high off the ground and is quite heavy I wonder if it would handle better if it had dual axles? One thing most people are unaware of is the shift in dynamics when water is used in a van, the water tank empties (or fuel after a boat has been used) as it is used in the sink or ensuite. The ensuite in particlar can shift the weight initially as designed (not, mostly) but when the toilet is emptied at a van site an imbalance occurs. Therefore one needs to make sure their stocks of beer or wine gets moved to compensate. Use of tow ball scales before every hitch up of the van should be mandatory, they are a very cheap addition to necessary accessories.